You may have heard about the bullet journal craze. If you Google the word bullet journal, you’ll find millions of resulting tutorials and suggestions on how to maintain one. A bullet journal is a way of keeping track of your upcoming events, tasks, deadlines, appointments, etc. The students in Mrs Harper’s Dual Enrollment and Honors English III classes are all maintaining a bullet journal as part of their classwork. Mrs. Harper said, “Y’all are my guinea pigs. I feel like other classes would benefit, but with y’all having the course load you do this year, I thought it would be beneficial.” Many of her students are taking other AP classes as well as DE English and need a way to keep up with all their upcoming assignments and due dates. While each student’s bullet journal is graded, the students are still given lots of wiggle room. Every once in a while, a question will be put up on the board for the students to answer in their journal for a grade, but on most days, students can write whatever they need to in their journals. This flexibility has been beneficial to students. Tollie Boone, a junior, said, “I feel free being able to organize it the way I want to, and the freeness has helped me stay concentrated on the things or activities I am involved it. 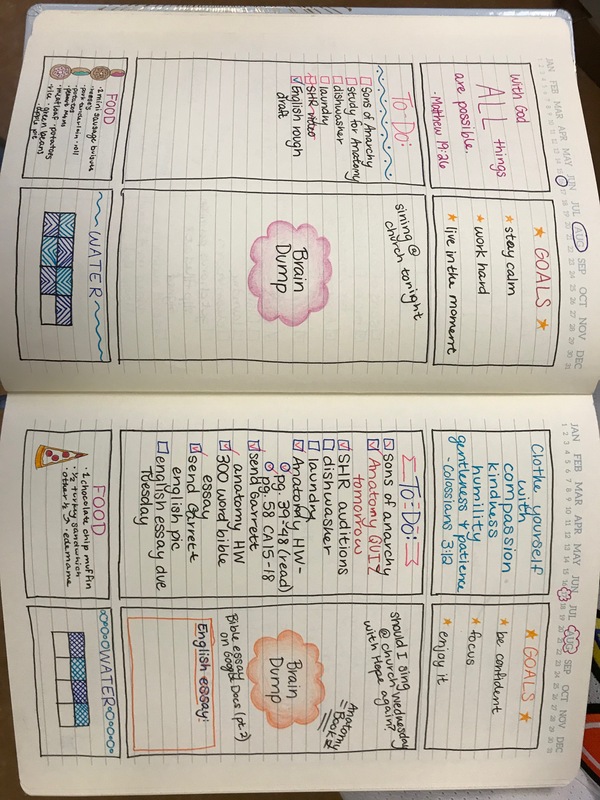 It helps me keep organized.” In her bullet journal, she records her moods and keeps a headache log. These things help her manage her day-to-day life. Overall, the guinea pigs of Mrs. Harper’s class are enjoying the process of keeping a bullet journal. Even Mrs. Harper has one of her own. If you are interested in learning more about the man who created the bullet journal and his tips and tricks for maintaining a busy lifestyle, you can watch his TED Talk here.